Winner of the Andres Montoya Poetry Prize for her first book, Pity the Drowned Horses, Sheryl Luna continues to explore the breathtaking world of internal and external landscapes—combining the landmarks of culture, place, and personal history along the U.S.-Mexican border of El Paso, Texas and Ciudad Juarez. “Luna’s poems, ever intimate and confessional, never waiver in their steadfast and unblinking view of survival. SEVEN crosses infinite borders and boundaries: It asks each person to notice. To speak out. To feel compassion for those experiencing personal, cultural, or sexual abuse,” writes publisher Andrea Watson. In discussing the central themes of SEVEN, Luna explains that her book deals with trauma but offers hope of recovery as well. Divided into seven sections, the book suggestively ties Luna’s meditations on hurt and loss to the seven sins and virtues, moving between English and Spanish effortlessly and accessibly. At the opening of SEVEN, as accuser and witness, the poet warns, “Some things don’t belong in poems, /unbeautiful and brutal—swollen blue-black/bruises, a circular patch of broken/blood-vessels on a child,” yet these images live within each line. When Luna fiercely narrates, “And they tell me there are no victims. /Only in the condescension of the oldest lie/can a woman rise, find her own power,” her words are truth and reminder. 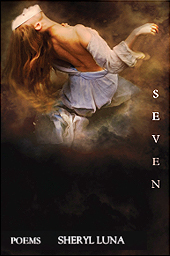 This long-awaited second collection, SEVEN, is a raw and vulnerable collection about sin, failure, and redemption in seven sections. The book’s speaker is reclaiming her self and her body from a history of abuse, and the book faithfully depicts the dramatic evolution from silence to rage to conciliation. In many of her poems, Luna deploys Old Testament tropes with a Plathian economy. In the poem “The Memory,” for example, she writes, “My father shape-shifted to an animal,/but the brutal act pressed down/past my awareness, like breath and death.” (26) The language of mythos serves to heighten the symbolic effect of violence. At the same time, this speaker acknowledges her spiritual and geographical origin, and uses that for a type of evolution that dips in and out of traditional spirituality. At the same time, because of its affinity with mythology, the book is filled with stallions, squirrels and birds. In an interview, Luna states, “Animals I suppose mirror what we ourselves are—animals. We too are at the mercy of death, suffering and life. We too are driven by instinct, the need to flee or freeze or fight when faced with trauma. 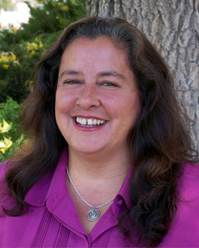 Sheryl Luna earned a PhD in contemporary literature from the University of North Texas and an MFA from University of Texas at El Paso. Her first collection, Pity the Drowned Horses, received the Andres Montoya Poetry Prize and was published by the University of Notre Dame Press. It was a finalist for the National Poetry Series and the Colorado Book Award. Luna was awarded fellowships from the Corporation of Yaddo, the Anderson Center, the Ragdale Foundation, and CantoMundo. She received the Alfredo Cisneros del Moral Foundation Award from Sandra Cisneros in 2008.